The historic town, Melkote is located Pandavapura Taluk of Mandya District. 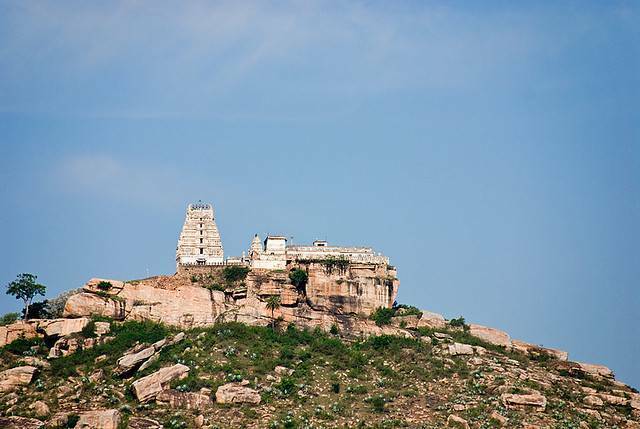 Melkote is renowned for religious centers like Melkote Cheluvarayaswamy Temple and Yoga Narasimha Temple. There is an oldest Sanskrit college of Karanataka within the Melkote Cheluvarayaswamy Temple permises. This Sanskrit College which is termed as “Veda Vedantha Bhodini Sanskrit Mahapathashala” was established in the year 1854. Sanskrit and Indian Philosophy are preached in this college. The sacred tank nearby the Cheluvarayaswamy Temple is termed as “Kalyani Theertham”. Beside temples, Melkote is also famous for Melkote Temple wildlife sanctuary. Divided as two parts Mudibetta and Narayandurga, this wildlife sanctuary was established in the year 1974. The wildlife especially preserves the wolf packs. Total area covered by this sanctuary is approximately 50 square kilometer. Most of the area in this sanctuary is covered by deciduous scrub vegetation. Other than wolf packs, you can come across Leopard, Jungle Cat Black Buck, Spotted Deer, Langur and Pangolin in Melkote Temple Wildlife Sanctuary.